James Blunt reckons that Noel and Liam Gallagher are “miserable” because Mark Owen of Take That “got more action” than both brothers combined. The man behind the mega-hit You’re Beautiful thinks that being in a boy band gets you more female attention than holding a guitar. Blunt told Q magazine: "Take That got laid more than Oasis, so join a boy band. No really, they did. I know you don't want to admit it but look at the stats. “An audience of beer-swilling lads arm in arm football-chanting Wonderwall or an audience of screaming girls chasing you to your hotel, and breaking in through the fire escapes to get to you." “Say what you like, but Mark Owen got more action than Noel and Liam combined. And he doesn't get drunk blokes coming up to him in the pub trying to be his mate. We wonder what Liam would have to say about all of this? 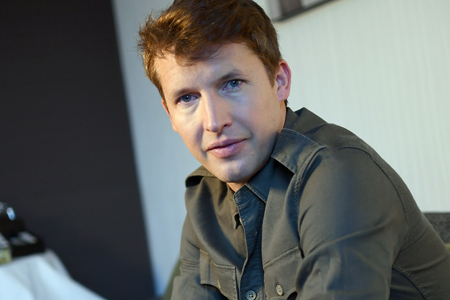 James Blunt’s new album The Afterlove, is released on 24 March.